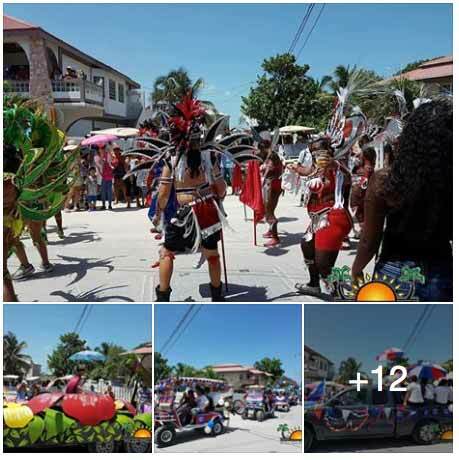 The San Pedro Town Council presents Belize's 36th Independence Eve celebration at the Hon. Louis Sylvestre Sports Complex! 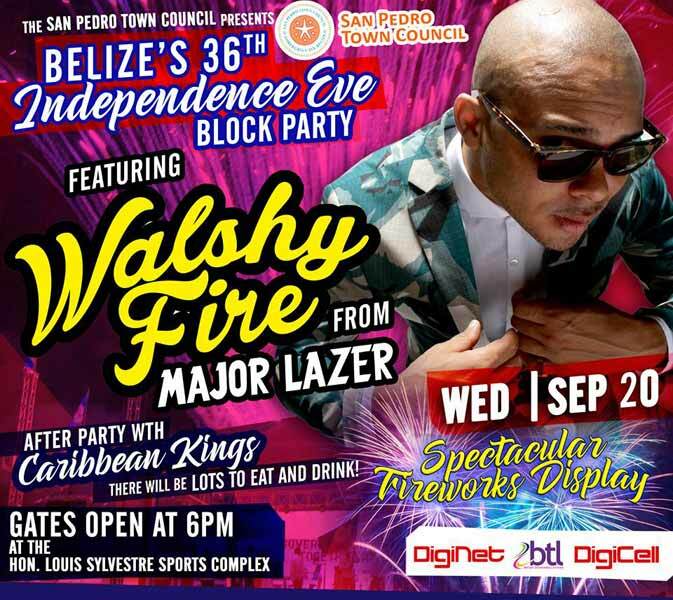 All the way from Jamaica, the San Pedro Town Council and Belize Telemedia Limited, bring to you Walshy Fire from Major Lazer to hype up the celebrations! There will be lots of food and drinks and a spectacular fireworks display! Don't miss out the after party with San Pedro's very own, Caribbean Kings to dance the night away with your favorite songs! 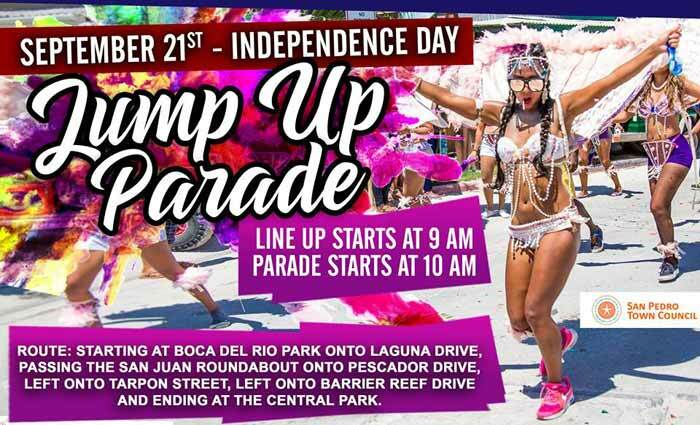 And the next day.....Independence Jump Up Parade starting at 10 am from the Boca del Rio Park and ending at the Central Park! San Pedro ARE YOU READY???? 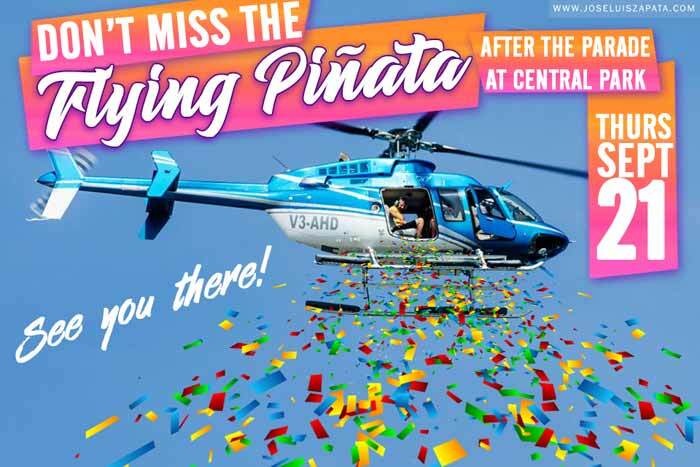 Don't miss the Flying Piñata after the parade at the Central Park! It's going to be fun! Color After Party following the parade! And the paint powder has arrived! 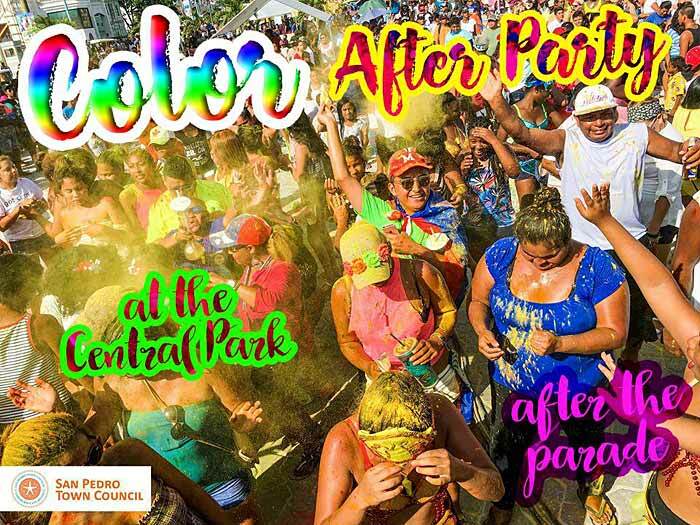 Don’t miss the Color After Party at the Central Park after the parade! 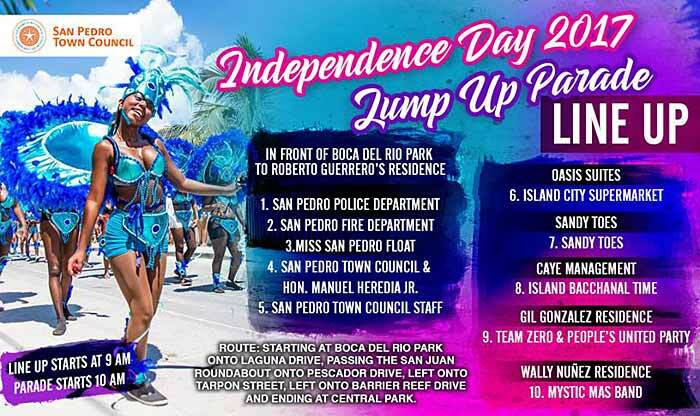 HERE IS THE FINAL LINE UP FOR THE INDEPENDENCE DAY 2017 JUMP UP PARADE! PLEASE TAKE NOTE. LINE UP STARTS AT 9 AM AND PARADE STARTS AT 10 AM. SEE YOU THERE! LONG LIVE BELIZE! Happy Independence Day! 36 years ago yesterday, an official ceremony was held. At the stroke of midnight, the UK’s Prince Michael of Kent (representing the Queen) lowered the Union Jack and Belize’s first Prime Minister, the Honorable George Price raised Belize’s flag. September 21st is celebrated EVERYWHERE in the country with fireworks, 21 gun salutes and lots and lots of dancing and parading. San Pedro holds the JUMP UP parade. It is always BLAZING HOT (why do countries always seem to declare independence in the hottest months?) and SO MUCH FUN. It is one of my favorite days of the year. I definitely get the best pictures before the parade even starts. The line up was scheduled for 9am…so I arrived at 10.15am. And…it didn’t start until after 11.30am. 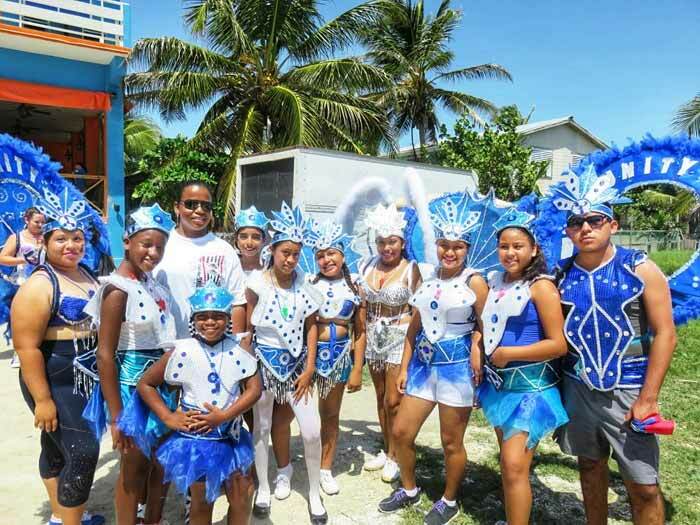 In commemoration of the 36th anniversary of Belize’s Independence, a series of activities were held on Wednesday evening, September 20th at the Honourable Louis Sylvestre Sporting Complex. Under the theme ‘Belize: Confronting Challenges! Celebrating Triumphs! Renewing our Resolve!’ activities included an official Independence Eve ceremony, followed by the midnight flag raising ceremony and a spectacular fireworks display. It all concluded with a fun after-party featuring Walshy Fire of Major Lazer and the Caribbean Kings, right through the early hours of September 21st. The night’s official ceremonies began shortly after 10PM as hundreds of attendees gathered for the patriotic activities. Master of Ceremonies Eiden Salazar Jr., invited Mayor Daniel Guerrero to give his speech, which highlighted the importance of the occasion. Guerrero started his address saying that he hopes this would not be his last Independence Day address, giving the fact that municipal elections are scheduled for March 2018. 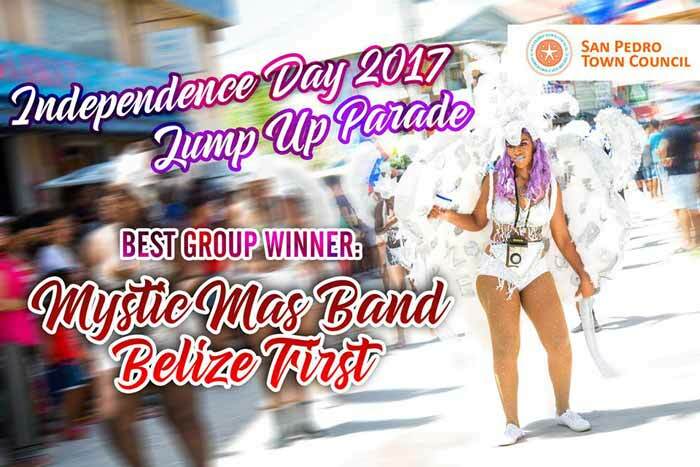 Congratulations to Mystic Mas Band on winning this year's Best Group Category for this year's Independence Jump Up Parade 2017!